During his life, 47-year-old Albert Repin must have been a great engineer. According to his parents, with whom he lived in Moscow, Russia, he was always building something. 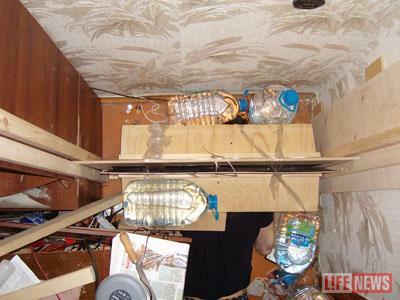 Unfortunately for his friends and loved ones, the engineer’s last project would prove to be both his most inventive and his most fatal, as Repin built a guillotine in his closet out of plywood, sheet metal, and water bottles, and used it to successfully decapitate himself. Apparently, Repin had been despondent over a divorce some years earlier, and had finally decided to end his life. Unfortunately, no one assumed he’d do it in such grand fashion. That’s really a crazy way to kill yourself, considering how easy it is to just step off a ledge. It’s just sad that the counseling system let this poor guy down; I hate to see anyone driven to such an extreme, even if it is just some stranger in Russia.